Mt. Tasman (Horokoau in Māori), with the height of 3497 meters is the second tallest mountain in New Zealand. I photographed it next to its neighbour Mt. Cook (Aoraki) from the shore of Lake Matheson. 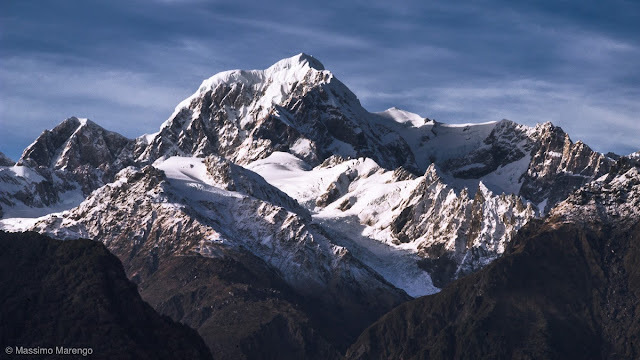 The Māori name of the mountain means "the cormorant that swallows), comparing its profile to the swelling in the neck of a shag, as it is swallowing a fish. Mt. Tasman is not the tallest mountain in New Zealand (Aoraki is taller), but it is nevertheless impressive. Its climb seems to be very technical, requiring advanced skills in ice climbing. Il you do a quick search on the web, it is pretty obvious that climbing Mt. Tasman is not a simple hike. 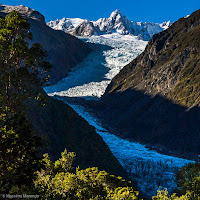 There are several companies that offers guided trip to the summit, assuming that you are fit and experienced enough, that you have the required 7 days to spend on the enterprise, and that you can pay the NZ$5,000 fee... We didn’t have any of the above, so we contented ourselves to watch the rock and ice beauty from below. 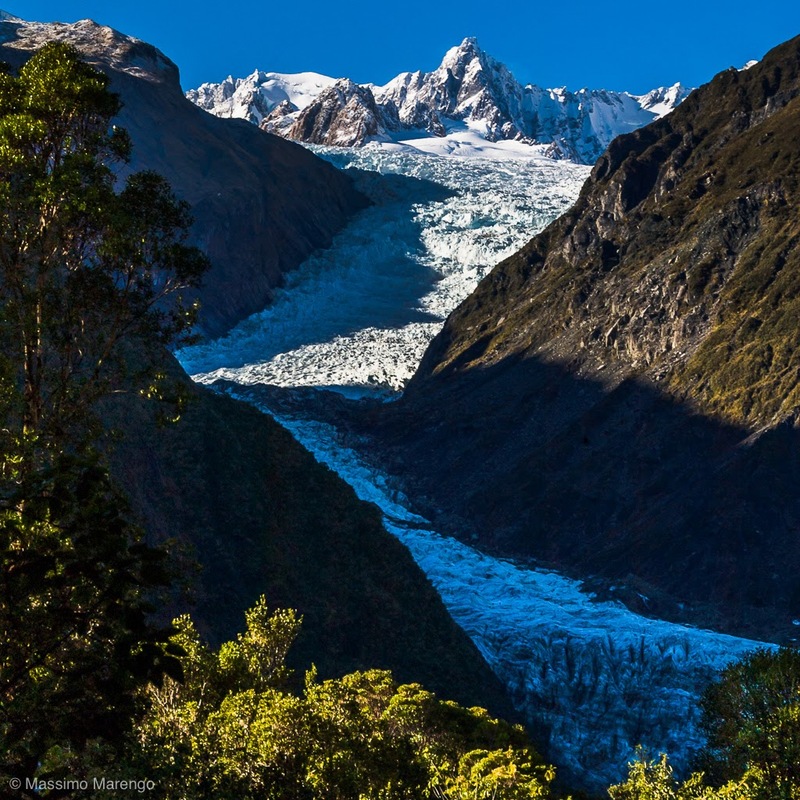 The finger of ice on the left of the photo is the Fox Glacier, that descends in the valley between the two mountains in the foreground, and that was responsible, once upon a time, for the formation of lake Matheson. From the the village where we had spent the night, one can go with a short hike to the base of the glacier, or rent (hire) a helicopter trip to actually “walk” on the ice. This is also something we didn’t do, but we still got a pretty good view of the glacier from a vantage point along the road, as we left the lake and the mountains, directed towards the west coast.